Children are easily influenced by tech gadgets, online content, and the Internet in general especially while growing up. It’s usually a battle between me and my less than 2year old son for my Infinix phone as he either wants to see a picture, entertain himself with the bright screen or just to fiddle with the touch pads. It is a way of telling me he is not allowed to get bored. You will agree with me that the hardest part of all is to entertain and educate same time, whilst grabbing back a bit of time for yourself. This is where apps for children comes to the rescue. Kids love playing with good apps, and you can even buy tablets designed specifically for children. 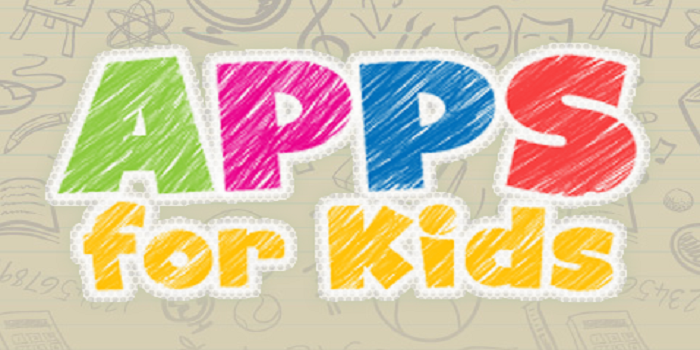 Check out these great apps for kids. There are literally thousands of children’ apps for Android, iPhone, smartphone, tablet and iPad. But not all apps are equal. Some will entertain your children for only a short while. Others will push them to make expensive in-app purchases. And there are some children’s apps that aren’t really appropriate for young people. We’ve spent time trawling through many popular apps, and present here the best of what we found. Animals for Kids is a funny educational game for all ages. Besides watching beautiful cartoon animals (like beaver, blackbird, sparrow, moose, mole, rabbit, squirrel, hedgehog, boar, owl, bear, racoon, deer, mouse, fox) your task will be to clean the habitats from trash and see how funny animals rewards you. #2. Best children’ apps: Fish School. Alphabet Flashcards is an educational app to help your child learn the alphabet using flash cards. Available for iPhone and iPad here. Math on the Farm is a creative maths learning tool based on stories. Zoo Alphabet for Kids. This app for all platforms is a way to teach toddlers and preschoolers their basic alphabets in an educational yet fun-filled manner. aMath Numbers Eng, a fun maths-learning game that will be familiar to fans of Tetris. #7. Best children’ apps: What’s The Sound? What’s The Sound? is a fun way to get small people identifying animals and more by the noises they make. Colouring Pages for Kids is a great (and clean) way for your kids to express their creativity. And it won’t require you to redecorate. Recommended by an anonymous guest check this beautiful family-friendly book ‘A Parcel of Courage’. This interactive reading adventure loaded with educational activities has four unique learning games enhancing logic, spatial cognition, photographic memory and more. Tomek Milek recommends LapsoBOX Cartoon Puzzle as a great game for kids aged five and over. Featuring amazing jumping puzzles, the app helps to develop brain power in your kids.